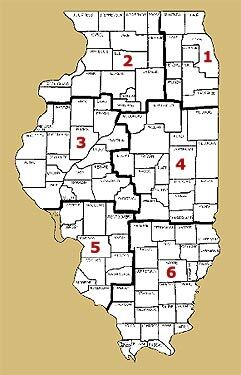 Fellow teachers, welcome to the webpage for the Chicagoland Area (Region 1). This region is one of the most diverse in the state and is home to the most social studies teachers. As such, I look forward to collaborating and assisting in a wide variety of ways. As for some background, I have just begun my 7th year as an educator. I have taught courses including US History, US Government, Economics, Geography, World Cultures, Election Studies, Middle Eastern Politics, Comparative Politics, and Non-Western Comparative Politics. I currently teach at Harper College and Starbuck Middle School. My main interests in the realm of education are technology and diversity & inclusion in the classroom (and online). There are so many great digital resources available that it is easier than ever to differentiate instruction and assessments. In terms of diversity, you may have seen my presentations at conferences on my classroom inquiry-based projects or "museums". These provide each student a voice and a choice. Along with thousands of other social studies educators and professionals, I went to the 2018 National Council for the Social Studies (NCSS) Annual Conference in Chicago. Like ICSS Conferences, NCSS brought together experts in the social studies and history to lead sessions for educators. The big difference is the size and, as a result, the number of options. Miss the NCSS Conference? Why not come to the upcoming ICSS Spring Conference, “History Social Sciences Teacher Symposium” at Illinois State on February 8, 2019. Please don’t hesitate to reach out with questions or comments on how this organization can be helpful. I encourage you to stay in touch with me and allow me be to a resource for you: visit my website, www.internationalchicago.com, follow me on twitter @ProfessorLevin, or email me atalevin@harpercollege.edu . Future e-Newsletter Planned: What Are Your Social Studies Interests? I want to know what you are interested in from a future e-newsletter for Region 1 members. What subject areas and teaching questions do you want addressed? Plus, how frequently would you like to receive it? Join hundreds of educators from across the country to learn strategies to engage young people in meaningful civic action. Population Education Facilitator-Training Institute at the Wingspread Retreat Conference Center in Racine, Wisconsin on July 19-21, 2019. The facilitator training is open to educators who are interested in leading Population Education workshops for their colleagues at schools, universities, and conferences around the region. Participants will include K-12 teachers, university education faculty and non-formal educators who work with teachers. To apply, follow this link for the application form and email it in with a current resumé or CV. Please note that there is an application deadline of March 9, 2019. If you would like additional information, please contact me at the phone number or e-mail address below. Details on our Population Education program and our Trainers Network can be found on our website, www.populationeducation.org, and for information on the venue, please go to www.wingspread.com. Here is a link to a flyer on the event; feel free to share this with colleagues who may be interested. If you know of additional exhibits that should be added below, please contact me, Andrew Levin (alevin@harpercollege.edu) or the ICSS Webmaster David McMullen (mcmullen@fsmail.bradley.edu). ​Their current exhibit is: Lest We Forget: Sailors, Sammies and Doughboys Over There in World War One. Friday and Saturday - 10 a.m. - 4 p.m.
Sunday - 12 - 4 p.m. Admission to the Museum & Library is $5. Admission is free for members and all visitors with active military ID, Chicago police and fire departments and children under 18. Tours are offered daily at 11 a.m.
First Division Museum at Catigny Park in Wheaton. They have recently updated their museum with its new exhibit hall covering the First Division post Vietnam to present day. They also updated their collections on the main exhibit space (WW1 - Vietnam).